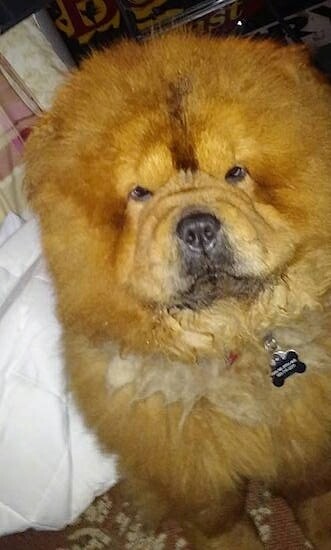 "This is King a 3 year old purebred Chow Chow from Tracy's Royal Chow Chows in Ohio. He is a big teddy bear." The Chow Chow is a large, stocky dog. The two most distinctive features of the Chow Chow are its blue-black tongue and its almost straight hind legs, which makes it walk rather stilted. The head is large and broad with a flat skull. The muzzle is broad and deep. There is a huge ruff behind the head, which gives it a lion-like appearance. The black nose is large with well open nostrils. The teeth meet in a scissors bite. The small, erect ears are triangular in shape and round at the tip. The almond-shaped eyes are deep-set and dark in color. The chest is broad and deep. The tail is set high, carried very close to the back. Dewclaws are sometimes removed. The profuse, dense, furry coat comes in two varieties, smooth and rough. The most common colors are solid red, black, blue, cinnamon and cream, but it can also come in tan, gray, or a rare white. The coat sometimes has lighter or darker shades, but is never parti-colored. The Chow Chow is a well-mannered dog. Quite good with children. If they get to know cats and other household animals when they are young, they will get along with them when they are adults. Should be thoroughly socialized preferably when they are young. They need firm authority and training starting at puppyhood. Whether you are adopting a puppy or an adult dog, owners need to set the rules for the dog to follow and stick to. This is a very dominant breed that requires a dominant owner. The owner of this breed of dog should be a calm person who is naturally firm, confident and consistent. With such a handler, the Chow Chow can develop well. The problems arise when the dog lives with owners who do not understand how to be, and stay in, the alpha position. If you allow this dog to believe it is the boss of your house it will become stubborn, protective and sometimes downright unruly. Unless the dog senses the owners are very strong-minded, it will work hard at keeping its alpha position in your human pack. When this happens it does not consider itself as being mean, but instinctually is telling you in the way dogs communicate with one another that it gets to decide when and how things are done. It will be self-willed to the point of obstinacy and may be overprotective. When you have a Chow Chow that believes he is the ruler of humans, and strangers push themselves on this dog, he may become aggressive, telling the humans he would like to have his space. Space means a lot to a dog. It is respect in the dog world. 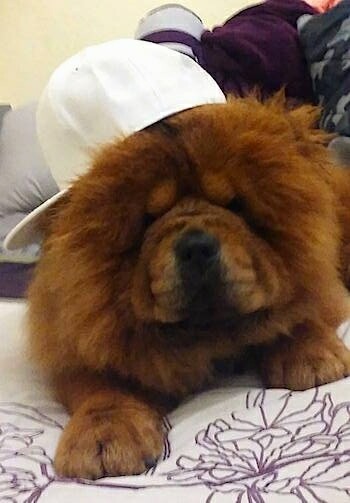 Chow Chows that believe they are boss will often be a one-person dog, very loyal to their master, though he may act reserved, even with them. 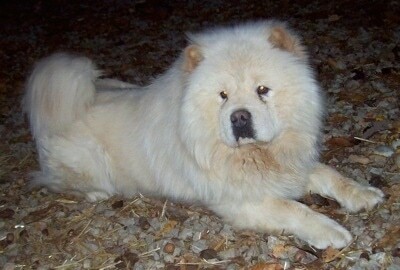 Alpha Chow Chows like to dominate other dogs. 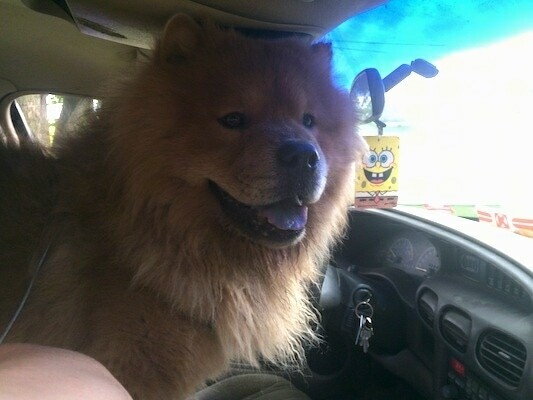 A Chow Chow that is not 100% convinced humans are the boss will be harder to obedience train. The Chow will feel IT needs to be deciding what and when to do things, not the human, as humans must listen to IT. These are NOT Chow Chow traits, they are instinctual behaviors, resulting from meek human authority over the dog. If you would like to own a dog, make sure you, and the rest of your family, know how to be alpha. All family members, and other humans around the dog, must be higher in the pecking order than the dog. 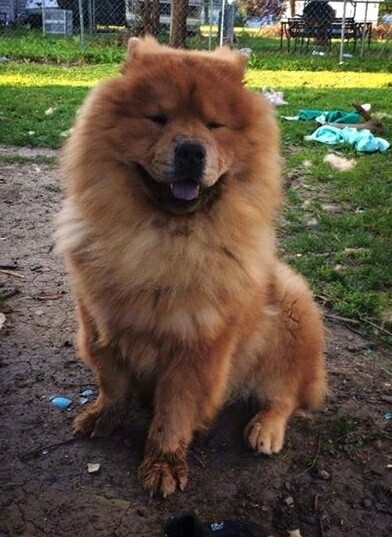 Chow Chows can be quite a handful with passive owners, but take the very same dog and put him with an owner who has natural authority and he will be polite, patient and well rounded, making an excellent family companion. "My 8-year-old white Chow performs a variety of "tricks," ranging from dancing on her hind legs on command to rolling over, and jumping from her hind legs into the air on command. She even knows the difference between "shake hands" and "shake," as in shake her mane to dry or fluff after a bath/brushing. After the first "trick" was learned at a very early age, she usually learns new activities through a process of three examples from her human friends, then she readily attempts the feats until successful. Her eagerness to learn from and please her two masters comes from her love of people. She loves being around people, even strangers. When threatened, or unsure of the circumstances she is facing, she quickly becomes protective of her family and home." They are prone to suffer eye irritation called entropion, caused by eyelid abnormality; this can be corrected with surgery. Also prone to hip dysplasia, stomach cancer, hot spots and ear infections. Because of their relatively short muzzles they often snore. The Chow Chow will do okay in an apartment if it is sufficiently exercised. 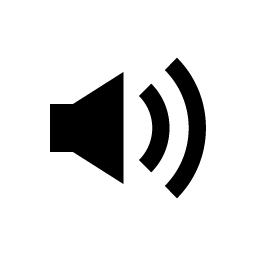 It is relatively inactive indoors and a small yard is sufficient. Sensitive to heat, can live in or outdoors in cooler weather. Chow Chows can be lazy, but need to be taken for a daily walk. Dogs that do not get to go on daily walks are more likely to display a wide array of behavior problems. Regular brushings of the long coat is important to maintain the lifted, standing-out look. This breed is a seasonal heavy shedder and extra care is needed when the dog is shedding its dense undercoat. Dry shampoo when necessary. The exact origin of the Chow Chow is unknown, but we do know that it is a very old breed. The oldest known dog fossils, dated back to several million years ago, are very similar in structure to the Chow Chow. Pictures on Chinese pottery which looked like the Chow Chow date back as far back as 206 BC. 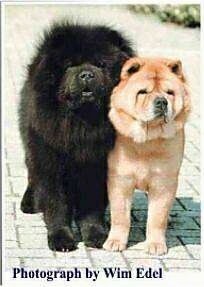 The Chow Chow may be related to the Chinese Shar-Pei, as both breeds’ origins point to China and both have the distinctive trait of the black and blue mouth. It may also have contributed to the ancestry of the Keeshond, Samoyed, Norwegian Elkhound, and the Pomeranian. The Chow Chow was used by the Chinese as a working dog, doing many different tasks such as a hunter of wolves, sable and pheasant, for herding, cart and sled puller, boat guard, and protection of the home. The dogs served the Chinese much more then just as a working dog. The dog's fur was used in making human coats and they were and still are also eaten, considered a delicacy. 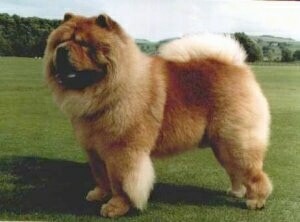 In the late 1800s Chows were first bought to England by merchants. The name "Chow Chow" probably originated from the pidgin English word "chow-chow," a general term for all of the odds and ends bought back from the far East. 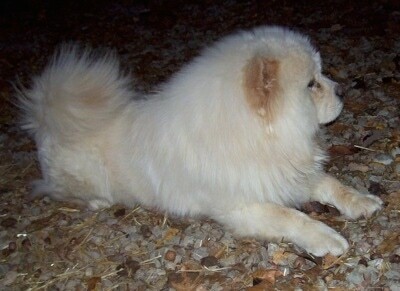 Some of the Chow Chow's talents are watchdog and guarding. Thor the Chow Chow at 1 year old—"Thor is friendly, a lover, sketchy at first but a sweetheart and more like a teddy bear." "Here is Dozer at 1 ½ years old. He is still very playful and extremely friendly. Dozer loves playing basketball and eating. He is great with children and loves to socialize with other dogs. At 2 years old Dozer became a daddy. He is the proud parent of 6 healthy adorable little teddy bears."